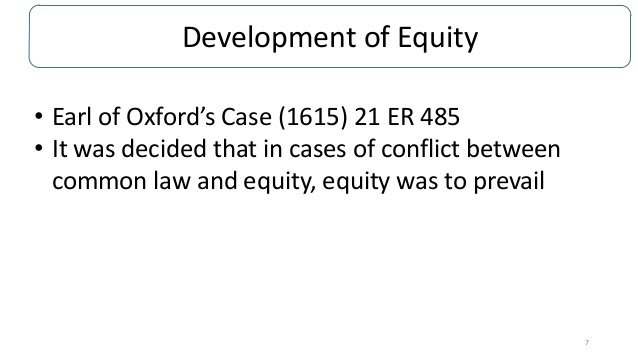 The historical creation development of equity arose from the need to mitigate the harshness of the decisions of the common law developed after 1066. Whilst the royal courts and assizes produced the benefits of a widely available legal system applying a consistent set of rules and procedures, they also became rigid and inflexible, ignoring justice in the quest for legal certainty. As a consequence of the growth of these petitions, the Court of Chancery developed, where decisions were made on the basis of fairness and reason and so the notion development of equity y was founded. Equity was now free to develop. It created its own set of rights and remedies, which are still in force today.